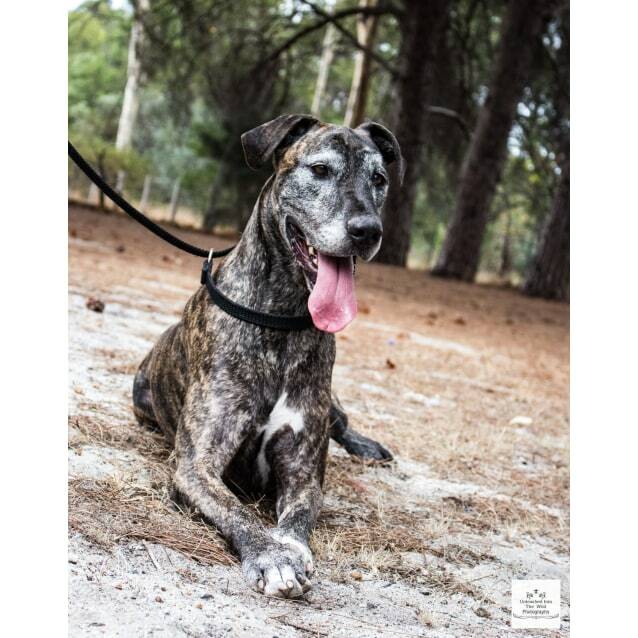 The GDLAWA is being pro-active in trying to help rescue Danes and Danes that need a new home due to a change in circumstances. 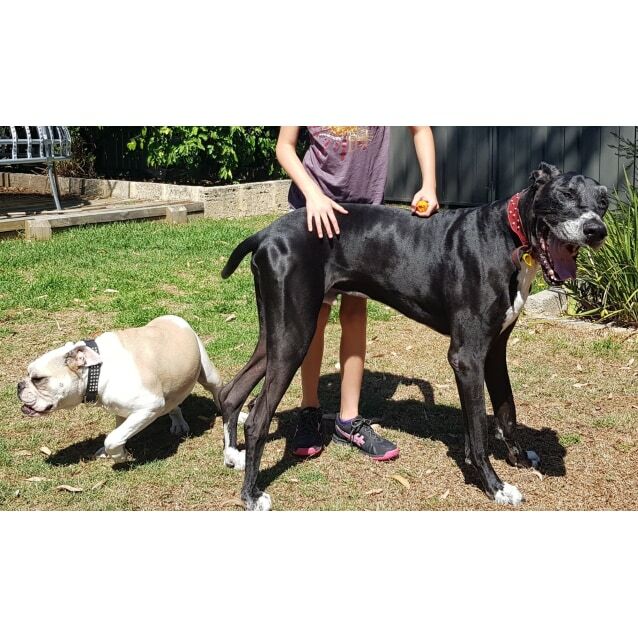 The Association has contacted every metropolitan, and major country towns' pounds & rescue centres asking them to contact the GDLAWA if a Dane comes into their care. When the association is contacted, we will do our best to find the owners or a home for the Dane. Our Rescue Coordinator keeps a Waiting List of people who have been screened as appropriate for becoming a Great Dane owner and as needy dogs become available, they will be added to the website and/or the list of people will be contacted to see if there is a match. Not every person offering will be considered for a rescue and we do not mean to offend. We do not contact every person for every Dane. We aim to match the dog with the right home so if a dog came in that was not good with cats or small animals and someone on the Waiting List had those pets, they would not be contacted. The goal is always for the Great Dane to go to its permanent home via this process so we do as much as we can to ensure that. If a Dane is a purely ‘re-home’ situation, the prospective owners will be put in touch with the existing owners, arrange to meet and the current owners will make the final decision. If the Dane is a rescue that has been surrendered to the GDLAWA, the Rescue Coordinator will make the final decision. It is important to note that the GDLAWA does not have kennels and cannot take dogs easily into care. We rely upon fostering by experienced members and at all times, their own pet’s safety is paramount. The GDLAWA cannot rescue Great Dane crosses but can add them to the website and assist in making the Waiting List aware of them needing a new home. If a dog is in the care of another agency, we will happily load the details onto our website but the adoption process will be via the agency that has current ownership of the Great Dane. We work with all of the Rescue Agencies in WA and have a network across the country to assist in successful rehoming as needed but we are a small club and the Rescue Programme is supported entirely by member’s fees and donations. If medical costs have been incurred in the care of a Great Dane, the new owner will be asked to contribute towards those costs to compensate the club to a nominal value. Please use the Reference “RES YOUR NAME” so that our Treasurer can allocate the monies received. A receipt will be issued if you use the Contact Us link and send us your name and address by email. Once we can match your details with the donation on our account, we will email the receipt with our great appreciation. We will list on this page details of any Danes that are in need of a home. If there are no dogs listed, then please check again soon, we rescue or rehome 50 Great Danes a year on average, so this page is very active. If you are interested in taking a rescue Dane full-time or just on a temporary basis, please contact the association. If you have an urgent re-homing enquiry please contact Lisa on 0438 833 626. The GDLAWA is part of a national network of Great Dane clubs across Australia working to support Danes needing homes. Terrific information and details of Great Danes needing homes nationally is available by visiting the Great Dane Rescue & Rehoming website. Meeting these two was an absolute joy, they adore children and have beautiful manners. The two love to have a play together but thoroughly enjoy people. Boston is up for the big lean for as long as you'll let him and then politely moves away when asked. Frankie will find something to have a game with you but isn't particularly in your face with it, rather inviting you into her game to add to the fun. These guys haven't been able to get out and about so much of late due to a change in life circumstances for the current owner. They are rusty on their social skills and whilst they have met new dogs over the years and done well, they are not at all suited to off lead socialising. If they were to stay in suburbia we would require two experienced handlers who can commit to daily on lead walks to work on them becoming more relaxed passing by other dogs. A large backyard would work best so they can continue to romp and play together freely. Boston and Frankie would do well on property. They have visited rural areas often and have had little interest in other animals. It's not often we prefer a home with kids, particularly for a duo, but these guys have done so amazingly well with their toddler buddies that we'd love to see them continue with children in their lives. Boston seems drawn to the slightly bigger kids who can keep up the pats and take the lean, Frankie loves hanging with her little people to play or just sit together in the sandpit. Summer water play is Frankie's favourite and she'll chase the hose as long as it keeps moving. Hours of entertainment for both dog and kid. Frankie and Boston come with a custom-built insulated kennel for outdoor comfort that they love to share, however, being able to spend time inside with the family is most definitely criteria for their new home. They are well mannered in the house, know lots of rules and are not destructive. OK, maybe a plate of butter on the table could silently vanish via the stealth like Dane if you're silly enough to leave it unattended. Taking on two dogs is a huge undertaking, particularly when one is a giant breed and the other a powerful breed. Boston and Frankie are most certainly worth considering if you think you're up for it. They are quite classic for their breeds showcasing all the beautiful traits of each and are going to bring the right family a whole lot of fun and love. Hope! That's me and I've got so much hope to find a wonderful new home. I'm a dainty 'Teacup Dane' or more technically three quarters Great Dane so on the slightly smaller side. I'm springy with lots of enthusiasm around new things and occasionally people. It's only because I really love people and need some reminders to keep all four feel on the ground. I used to live with a family and grew up with kids but I've been told by my new friends at the kennel that I need to learn more about being calm. They are really hoping I find a family who can take some time to teach me more. I've never really had the opportunity to make doggy friends so prefer to stick with the people and have them all to myself in my new home. I've seen sooooo many dogs now that I'm in the kennel and I've learnt to pass by on leash and with more help I'm sure I can learn to walk with other dogs nicely. I have no desire to run off lead with them. WAY too scary for me. I've always had a big backyard and I do make the most of it, running, playing, carrying my teddy around, playing tug with my people. I've not always had a cosy bed inside but it is on my bucket list. When I have been allowed inside I think I've been a good girl, I didn't chew anything and asked when I needed to go toilet outside. I've never had much to do with cats other than a neighbour that used to sit on the shed roof and tease me! I haven't decided yet what I might do if I meet one up close but I'm worried I might get myself into trouble. Running in the open space is heaps of fun at the kennel but I'm really looking forward to seeing the big wide world on daily walks and my lead training is going really quite well. Please call Lisa if you think you need a little Hope in your life.